Teena is our beautiful mare. 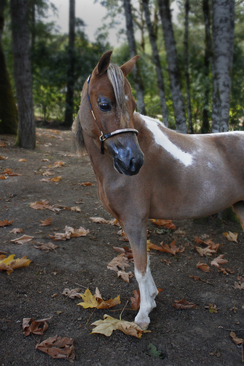 She is a foal from our stallion Devon. 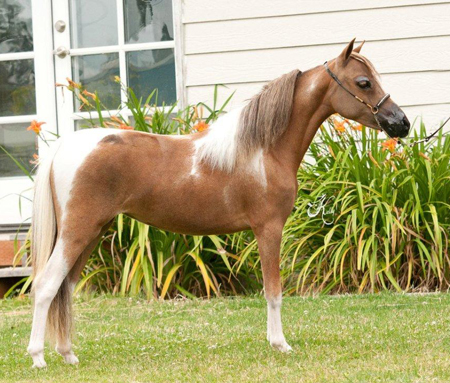 She is a chestnut tobiano pinto. She is registered with the American Miniature Horse Association and the American Miniature Horse Registry. 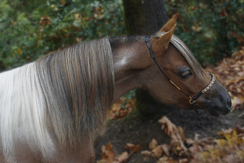 Teena excels in halter and liberty. 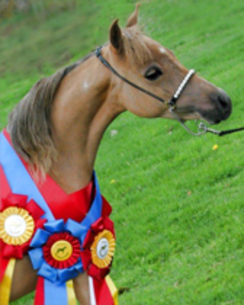 Teena shows in AMHA Amateur and Open classes. 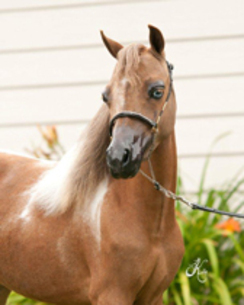 She has won multiple Grand and Reserve halter Champion titles and won 2015 AMHA Honor Roll Champion Amateur Sr. Mare, Lv. 1, 30-34. 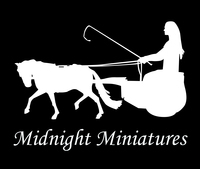 She will soon be showing in performance classes including driving. She is currently in driving training and is phenomenal mover with lots of grace.